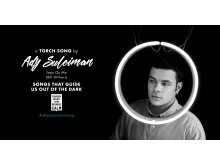 Torch Songs brings together top artists and music lovers to share the tracks they turn to when things get tough, shedding light on how commonplace it is to face pressures in life. Latest UK figures show men are three times more likely than women to take their own life, and less likely to tell anyone about going through depression. CALM launched Torch Songs on International Men’s Day 2016, since releasing exclusive covers from artists including Elbow, Years & Years, The Vaccines, Frank Turner, Enter Shikari and Twin Atlantic. More artists will release Torch Songs through 2017. 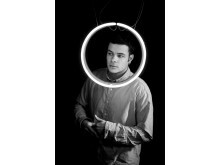 James Scroggs, CALM’s Chair and creator of Torch Songs, said: “It’s normal for all of us to encounter tough times. We also know music is a universally powerful tool to lift the spirits. So we hope Torch Songs provides the inspiration men need to find a way through." 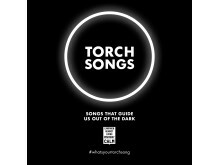 All Torch Songs tracks will be available at torchsongs.co.uk, as well as Spotify, iTunes, and YouTube. 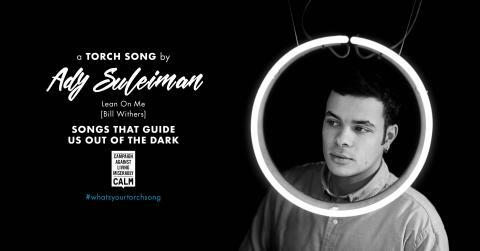 You don’t have to be a musician to get involved — fans are encouraged to spread awareness by sharing their own Torch Songs online with the hashtag #WhatsYourTorchSong. In 2015, 75% of all suicides in the UK were male. Suicide is the single biggest killer of men aged under-45 in the UK (NISRA, GRO, ONS, 2015). Only 55% of men who’ve experienced depression will tell anyone about it, compared to 67% of women (CALM’s Masculinity Audit 2016).